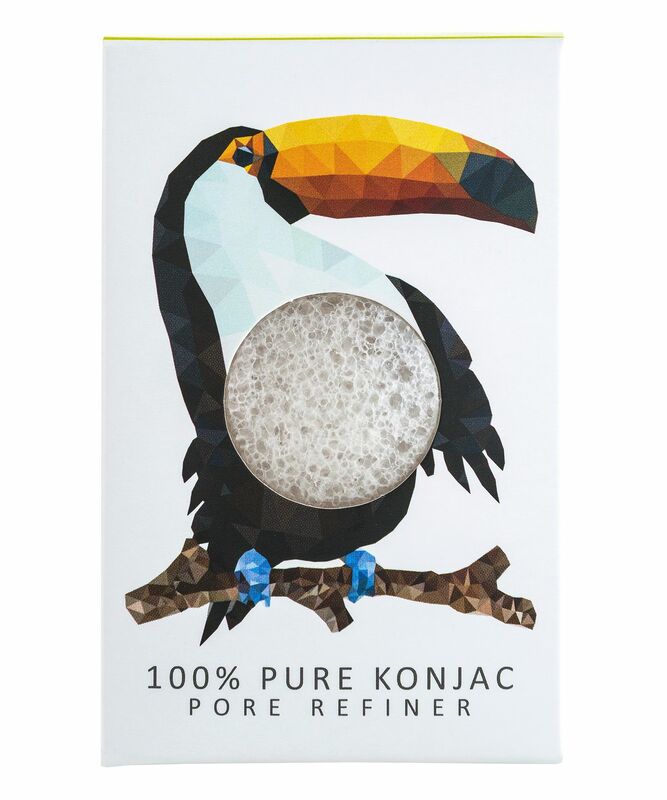 Dressed up as a toucan, this 100% pure Konjac Sponge is super powerful (as well as super cute). The unique, net-like structure of the sponge gently massages skin to stimulate blood flow and cell turnover, eliminating dirt and make up. This adorable mini Konjac Sponge is perfect for refining, defining and nourishing even the most sensitive skin and makes a great little skin care gift, especially if you’re just treating yourself (your skin will thank you)! Each of the Konjac Mini Pore Refiner Rainforest Collection has its own added bonus: ‘Toucan’ is 100% pure Konjac, which is naturally rich in vitamins and minerals. It can be used alone or with your preferred cleanser. It‘s a nice sponge, but I haven‘t seen any difference in my skin.